Nahant Historic Building Study — DESIGN ASSOCIATES INC.
Design Associates surveyed exterior and structural conditions of three national register listed municipal buildings in the coastal community of Nahant. These masonry buildings represent civic pride and investment made at the end of the 19th and early 20th centuries. The Ellingwood Chapel was designed by the firm Cram and Ferguson in 1914. 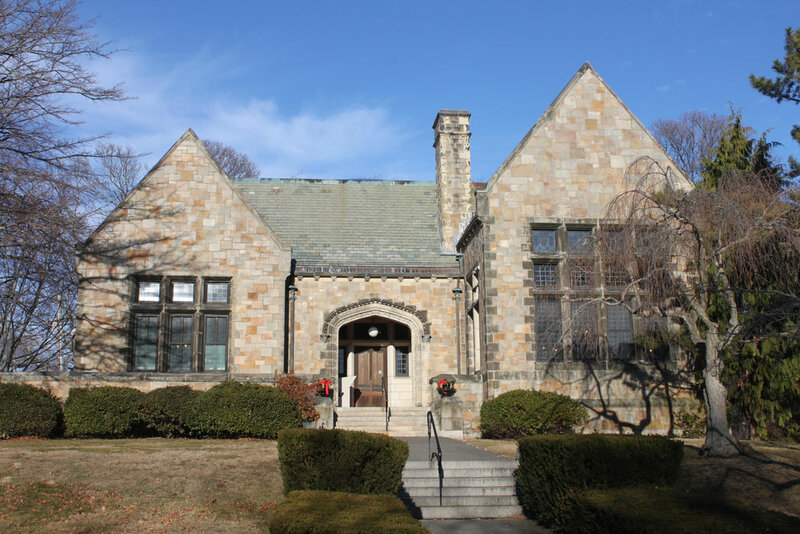 The public library was constructed in 1895 and is across the street from the 1932 town hall forming a charming civic block along Nahant Road. Direct inspection of masonry, fenestration, roofing, flashing and woodwork. Coordination with town personnel and property stakeholders. Prepare reports on each building conditions, phased repair and preservation plans and budgetary cost estimates for proposed work. Public presentations of findings and recommendations. Successful grant writing for Ellingwood Chapel.